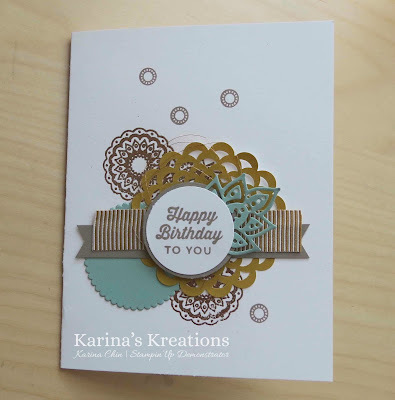 Karina's Kreations: Stampin'Up Paisleys and Posies! Which color do you like better. Watermelon Wonder or the Delightful Dijon? 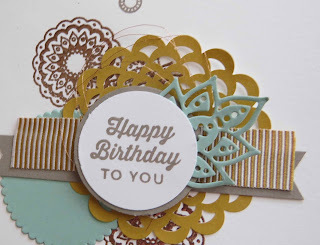 I made this cute card using the Petals and Posies stamp set and coordinating Paisley Framelit Dies. 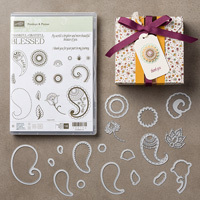 You can get these items in a bundle for $58.50 #143515. I embossed the Paisley images on the Delightful Dijon card using copper embossing powder #141636. I also added some 5/8" Mini Striped Ribbon and 2015-2017 Incolor Dolies on my card. 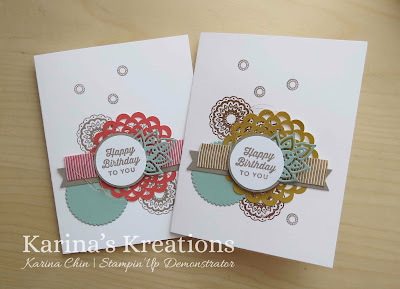 This is my swap card for my team stamping afternoon this Friday.